Mayor Alvarado, channeling Steve Jobs with a headset and jeans, described the history of public accountability, or rendición de cuentas, in Chiantla. 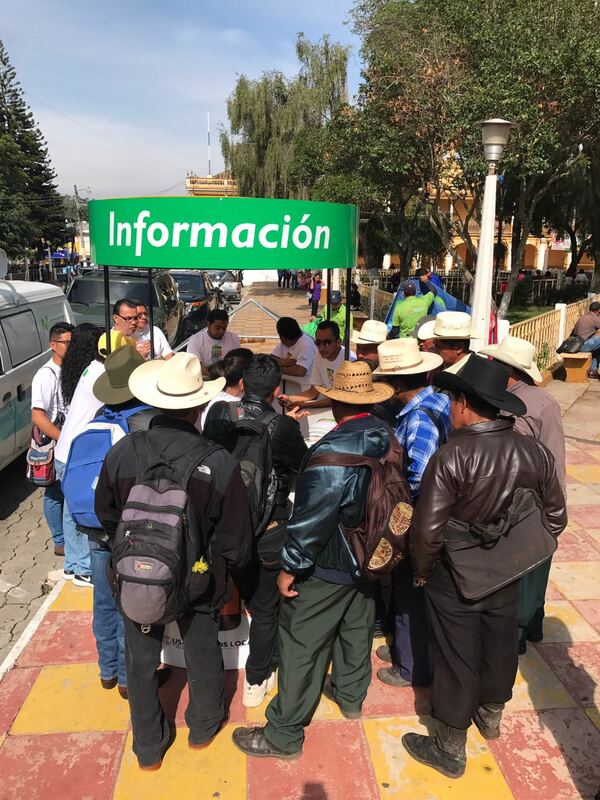 Doing so, he drew a direct line from early methods—written documents from 1882—to Somos Chiantla (“We are Chiantla”), which gives citizens direct access to budget data, pulled from the municipality’s financial systems. Hearing the mayor link the app so closely to local, historical accountability practices sent a little tear of joy rolling down my cheek; from a design perspective, it’s essential to build on the existing ecosystem, not just technological but also cultural. See the three-minute version of the mayor’s speech embedded below, or view the entire event on Chianta’s Facebook page. 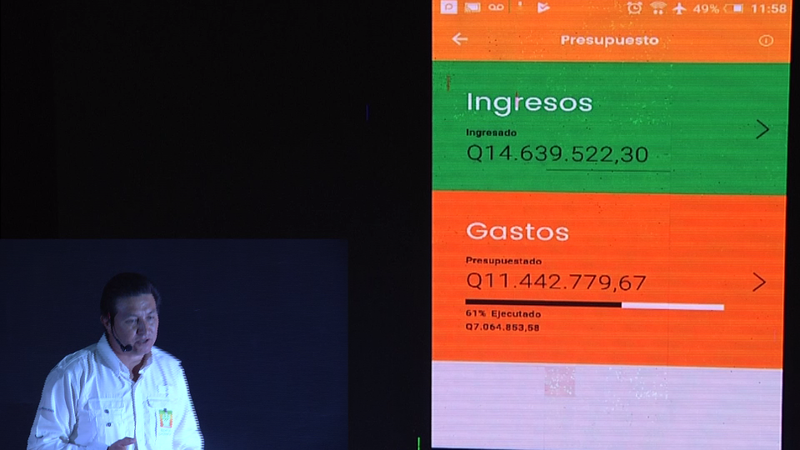 Somos Chiantla’s key feature is its budget transparency module, which the mayor previewed during his presentation (see image below). 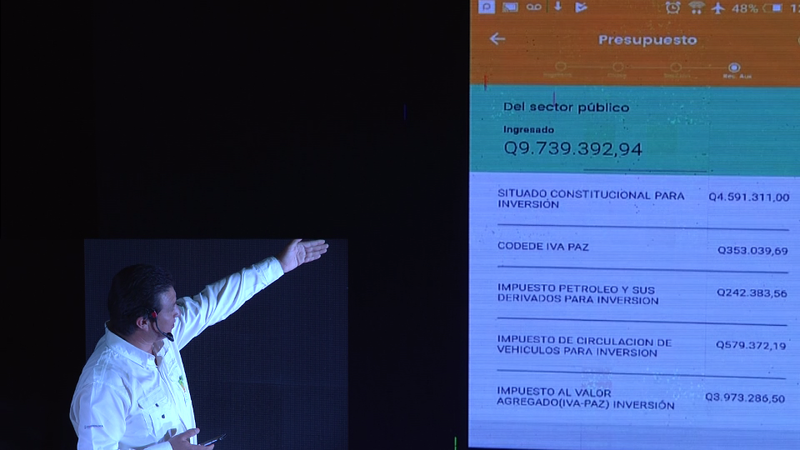 The module’s financial data comes directly from Chiantla’s municipal budgeting system, SICOIN, via an Amazon Web Service created specifically for Somos Chiantla (in the absence of a public API) by the Guatemalan Ministry of Finance’s Department for Municipal Finance. The module is divided into income (ingresos) and expenditures (gastos), both of which are base blocks of much deeper hierarchies of budget information. 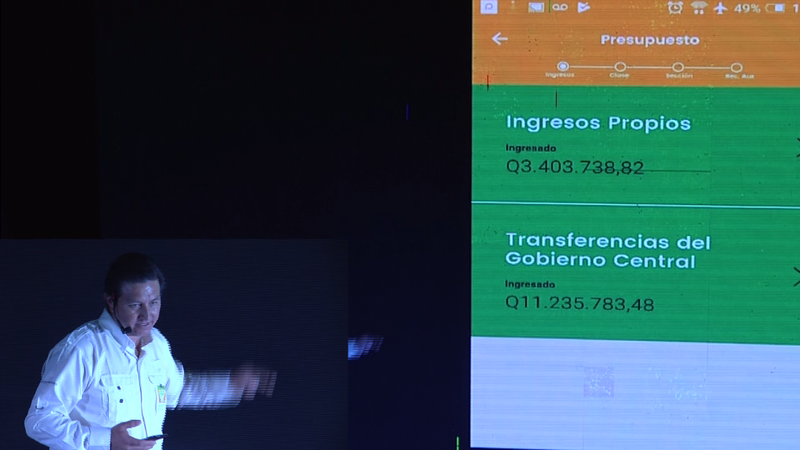 Income is divided into own income (ingresos propios) and central government transfers (transferences del gobierno central) (see image below). This hierarchy is not native to the budget system, but was designed by the app’s developer, Explico S.A., working closely with Karla Milian, Nexos Locales’s Municipal Public Finance Specialist. A few layers down, users reach actual budget line items. In the image below, the sources of central government capital transfers, including the constitutional mandate (situado constitucional para inversión), oil tax (impuesto petrolero) and the vehicle tax (impuesto de circulacion de vehiculos). 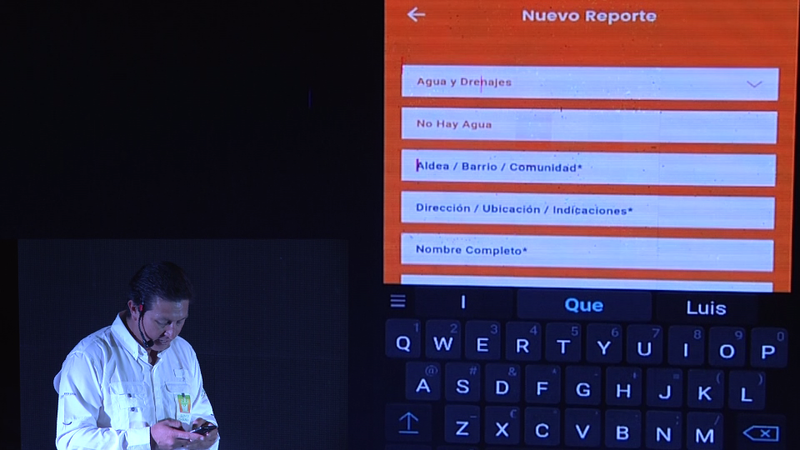 Beyond the budget module, Somos Chiantla includes a local issue reporting module, which allows citizens to request help for potholes, report broken street lights, problems with water provision, and more. See the mayor debuting the module below. Reports are handled by the municipality’s app manager, who feeds them to the relevant department and provides status updates (e.g., received, in progress, resolved) to the submitter of the report. 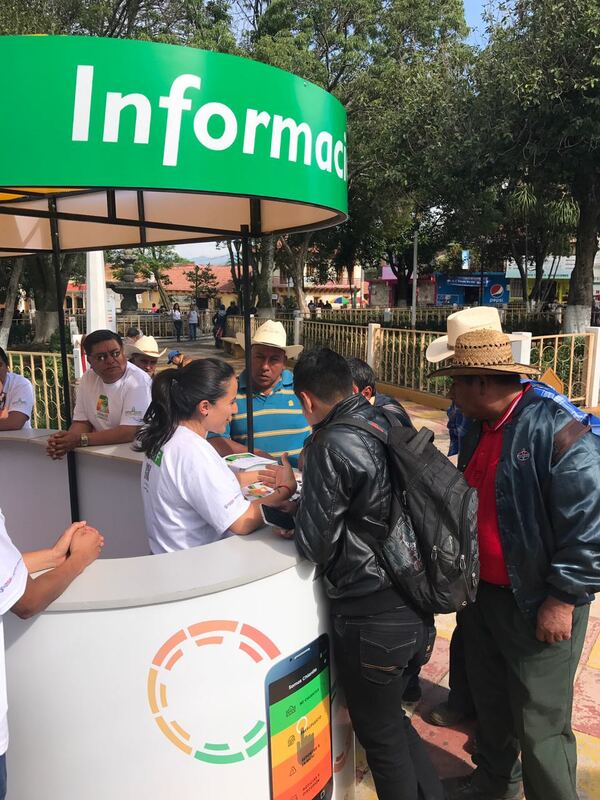 To show Chiantlans how to use these features, the launch event included a public information and training booth in the town square. The two photos below show a trainer working with a group of Chiantlan cowboys. Since the launch event, the app has been downloaded more than 500 times. Users spend an average of five minutes and 21 seconds per session, and the reporting module has been active (see graphic below). Through that module, the municipality has received 21 reports related to water provision, street lights, and roads, as well as a request for public information. Of those reports, 12 have been resolved, six are in process, and three are pending action. From a governance standpoint, this is a strong record of response from a local government with limited resources and a large geographic coverage area (almost 500 square kilometers). Currently Nexos Locales is preparing a grant for a local civil society organization to conduct a series of design-thinking workshops with citizens, municipal employees, other civil society organizations, local journalists and lawyers, to get their feedback on what is now a live and active tool/service of the current municipal administration. Beyond that, we’re collecting user data to see what’s working and what isn’t, and will continue to engage the community of Chiantla as we better align Somos Chiantla to its needs. The search has begun for two additional municipalities with the right combination of political, social, and technological factors to successfully implement the design and operation of their own versions of the app. 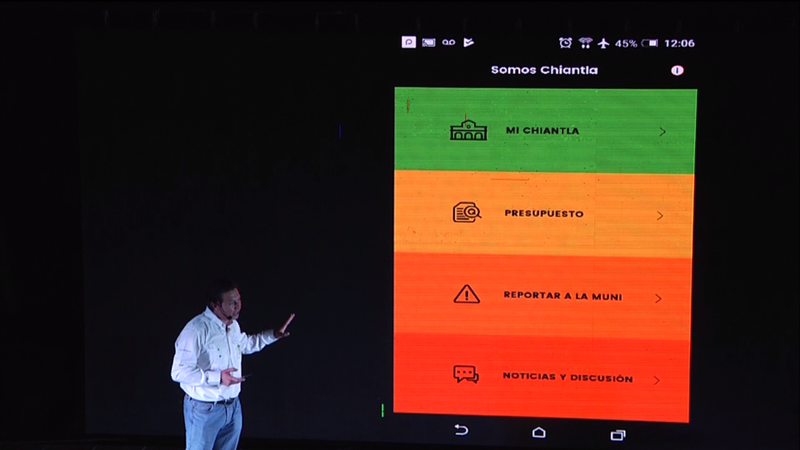 The municipality’s slogan is “For Chiantla,” and in that spirit, it’s worth turning the spotlight back toward the people this app was created for and with. The launch event attracted folks from all over Chiantla, and the Nexos Locales team used a photo booth to snap and post photos of attendees directly to the municipality’s Facebook page. A select few are presented in GIF form below (it might take a few moments to download). 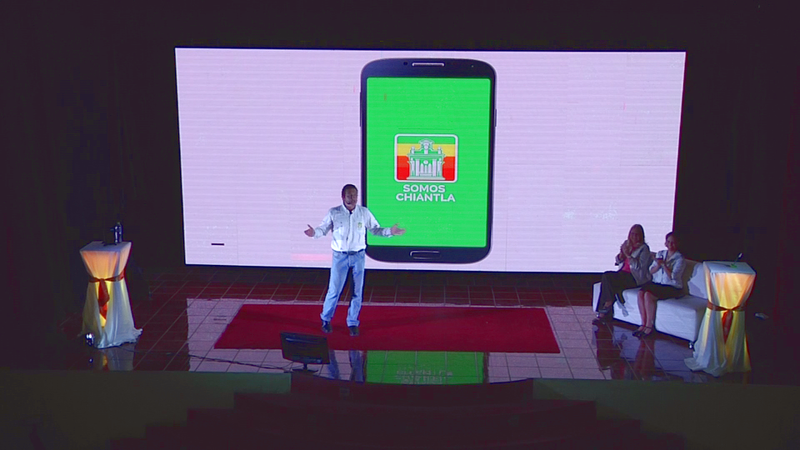 Download Somos Chiantla on Google Play.